In 1986 arrived in store shelves Starglider, a sort of space adventure-simulator, vaguely inspired by Star Wars (another video game, from 1983), developed by Argonaut Software and published by Rainbird initially for Amiga and Atari ST. 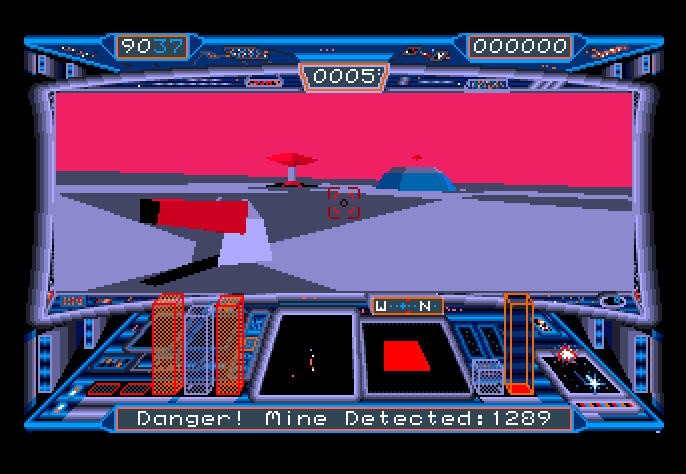 The player was given in controls of a small space ship equipped with laser and TV guided missiles in a wireframe three-dimensional environment (the objects were so transparent). The purpose was to free planet Novenia by Ergon invaders. Just two years later, Rainbird published the sequel: Starglider 2, this time with a solid 3D graphics engine and a new spaceship to fly, the Icarus, able to travel through all the planets of the Novenia system. This time the mission is to save the planet Novenia from destruction, Emperor Ergon infact did not take the defeat sportingly and is building a special super-weapon. 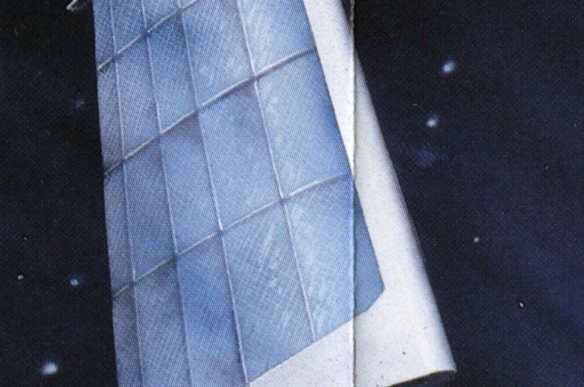 This second chapter was another success and the Zzap! magazine gave him a well deserved 98%. I also fell in love with the game, but indelibly the thing that struck my fancy was the picture on the cover, taken from the introduction screen of the game that showed a strange ship that was traveling in the cosmos. So I decided to find the poster, designed by Steve Weston (swsstudio.co.uk), scan and restore it digitally. The first problem, as we see from the elarged photo above, was to remove the offset noise. I used a special plugin for Photoshop (download here) that statistically analyzes the imagines, one channel at a time. So I proceeded to remove creases (the poster is contained in the original game box) and finally to correct printing errors and various remaining imperfections. 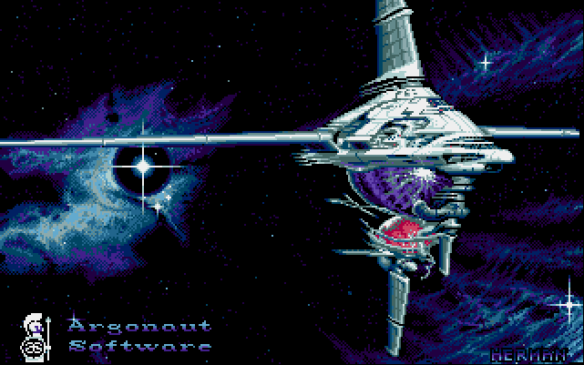 As a final touch and dutiful add: the Argonaut Software logo at the bottom left corner. The result can be downloaded below.